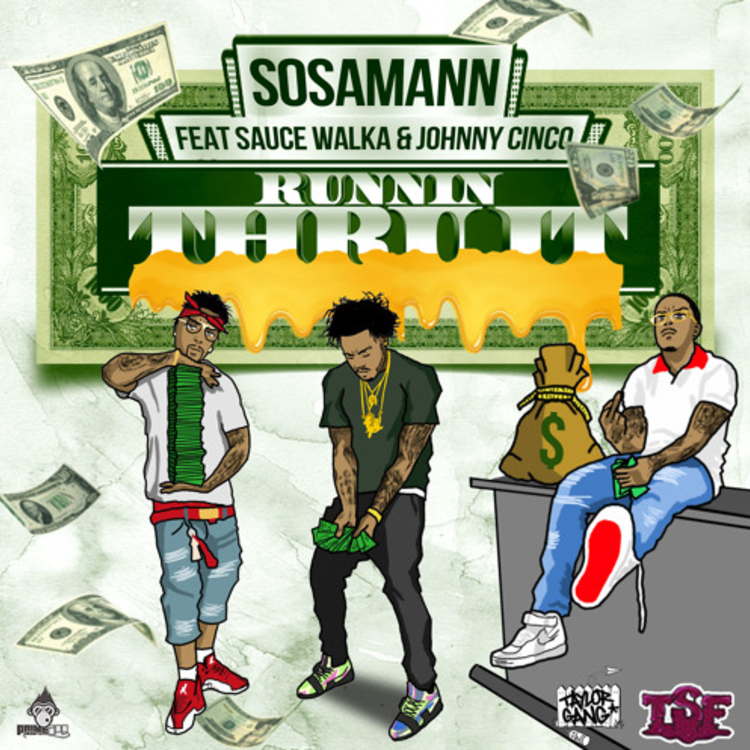 Sosamann is spilling endless sauce on his new single, "Runnin Thru It," featuring his TSF brethren Sauce Walka and Atlanta's Johnny Cinco. The Houston Sauce Gods are both at their most unhinged on the new track, with Sauce Walka going especially bonkers on the hook as he runs through a whirlwind of cash. There has been a strong kinship between the Houston-bred sauce movement and the naturally invigorating street style purveyed by the members of the Quality Control camp, Johnny Cinco included. "Runnin Thru It" was recorded in Atlanta, and Cinco "was one of the first artists to drip the sauce from Splashlanta," says Sosa. "Runnin Thru It" is produced by Bobby Kritical. Check out HNHH's recent interview with Sosamann, who signed a deal with Wiz Khalifa's Taylor Gang earlier this year, upon the release of his Sauce Eskobar mixtape.